There were literally tens of thousands of photographs taken of Vivien Leigh throughout her lifetime. 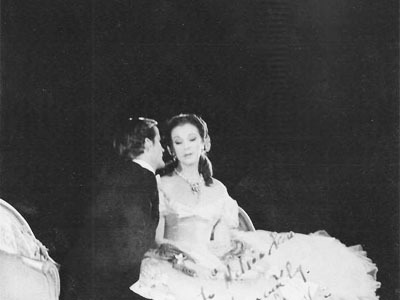 London society and stage photographer Vivienne (née Florence Entwhistle, mother of Anthony Beauchamp who photographed Vivien on the cusp of fame) said that Vivien Leigh was “an artist-photographer’s dream” because of her near-flawless facial features and willingness to be manipulated in order to get the perfect shot. There were studio portraits for stage and film, always depicting the character she was playing either on or off-screen. There were press photographs taken at functions or when she was out and about. But in these photos she was always Vivien Leigh the star; the public figure. Photographers who were allowed in to her home came with her permission, and even then the Vivien Leigh persona was always in place. What makes candid photographs like the ones below so special is that they show the real Vivien Leigh, the woman those close to her had the privilege of knowing and loving. Vivien was an intensely private person. She didn’t shop her private photos around like many celebrities do today. We rarely see photos of her and Laurence Olivier at Notley Abbey, for example. Olivier’s son Tarquin told me he doesn’t remember his father or Vivien ever carrying a camera around in those days. And if they did, the photos remain in a private collection. This changed when Vivien became involved with Jack Merivale in 1960. She had purchased a 35mm Stereo Realist camera in the 1950s and Jack took it up as a hobby, snapping Vivien while traveling and relaxing at Tickerage Mill with friends and family. 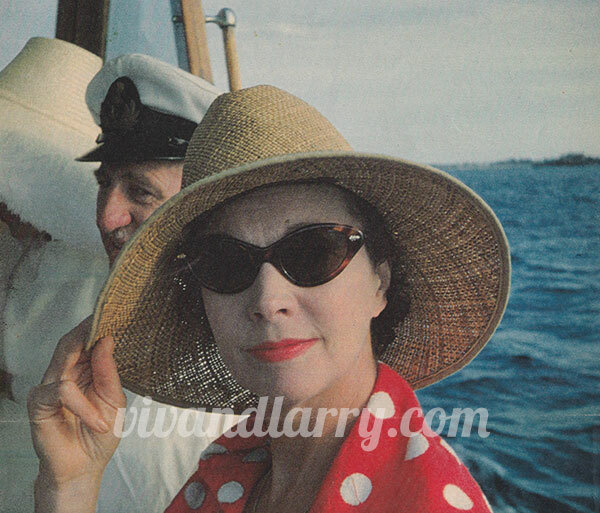 With the exception of one, the photos in this post were taken by Jack Merivale between 1960 and 1962 when Vivien was transitioning into a new life after her difficult divorce from Olivier. He captured a woman making the best of things, happiest in the company of friends. These were originally published in black and white in Hugo Vickers’ biography of Vivien and they offer an intimate and rare glimpse into Vivien’s private world. I thought it would be a treat for visitors of vivandlarry.com to be able to see them here in color. 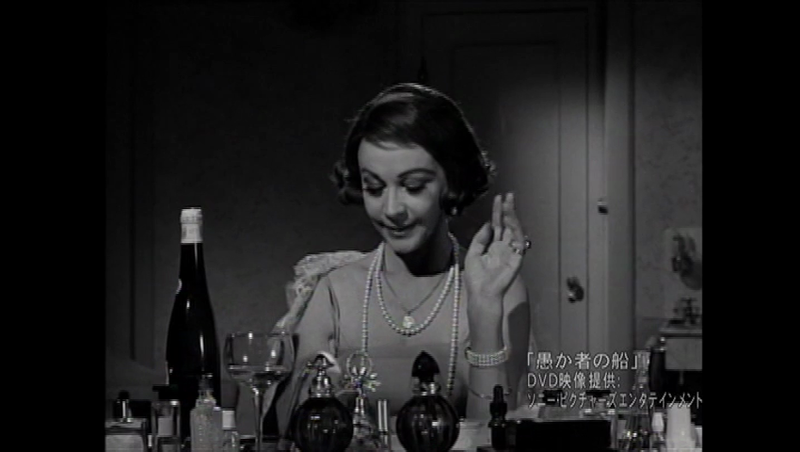 Made by Basara Ltd. in 2010 as part of a series of TV documentaries that focused on classic film stars that are still big in Japan, “The Japanese Vivien Leigh Documentary” takes a unique approach to telling Vivien’s story. 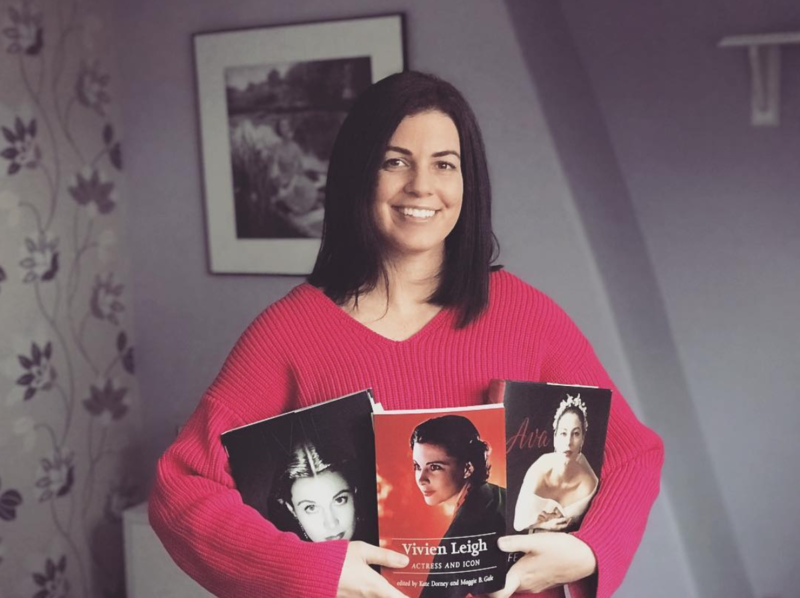 Rather than just replaying Vivien Leigh’s life through photos and video footage, it follows her great-granddaughter, Sophie Farrington, on a journey of discovery. Sophie travelled to London and Hollywood (and to Notley Abbey and Tickerage Mill) to interview those who are still alive who knew Vivien, and in the process learned more about her famous relative. Like any documentary, there are good and bad things about this one. It’s really interesting to see members of Vivien’s family today, especially considering how private they’ve always been. There are people interviewed here that I’d never seen in previous documentaries. Hearing audio clips of Jack Merivale speaking about Vivien Leigh in an interview with Hugo Vickers. I got to help as a photo consultant. Many of the photos used as filler came from my personal collection. The editing is very, very sloppy. You’ll notice things like people being cut off mid-sentence, the English translator whispering in the background, cameramen not ducking out of the shots in time. They interviewed Sophie having dinner at the Olive Garden. Okay, maybe that should be in the “good” section. No English subtitles, including names of people being interviewed. People featured include Hugo Vickers, Trader Faulkner, Tarquin Olivier, Ann Rutherford, Daniel Selznick, Sally Hardy (Jack Merivale’s step-sister), Louise Olivier, Rupert Farrington and Amy Farrington. This documentary has a running time of 90 minutes. It has been uploaded exclusively for readers here at vivandlarry.com and cannot be found on DVD. 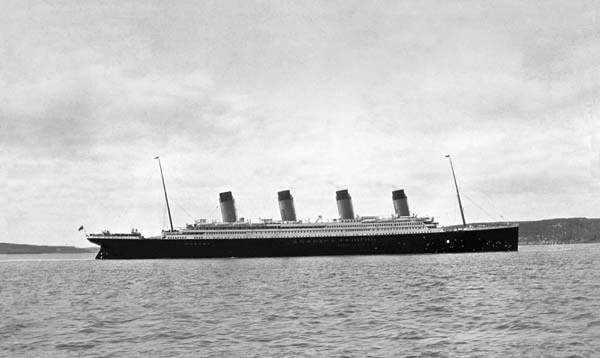 On April 10, 1912, the RMS Titanic set sail from Southampton on her ill-fated maiden voyage to New York. Built in Belfast by Harland and Wolff, Titanic and her sister ships the RMS Olympic and HMHS Britannic were the pride and joy of Liverpool’s White Star Line shipping company headed by J. Bruce Ismay and American financial tycoon J.P. Morgan. The ships were designed to be the last word in luxury transatlantic travel, and were in fierce competition with Cunard, based in Southampton (Cunard’s Lusitania was famously torpedoed and sunk by a German U-boat during the First World War). Not only was Titanic the largest and fastest passenger liner at sea, she was hailed as “unsinkable” — a towering metaphor for power and optimism during the industrial age. More famous than the ship itself was the sad fate that befell it. In the late hours of April 14, 1912, Titanic struck an iceberg off the freezing coast of Newfoundland and sank, killing over 1500 people in one of the worst maritime disasters of the 20th century. Like the Hindenburg, the Titanic has remained a source of morbid fascination for the past century. I, myself, have been interested in the story of the ship since I was a child. I remember doing a school project and flipping through an old copy of the issue of National Geographic that detailed Robert Ballard’s expedition to the bottom of the Atlantic and his discovery of the wreckage. For my 23rd birthday, a few of my close friends and I went to Las Vegas, where an exhibition of Titanic artifacts had been raised from the seabed and put on display in at the Tropicana. It evoked similar feelings to experiencing an exhibit about the Holocaust, for example. The reason for divers plundering the ship’s remains and displaying what they’ve found is understandable. The Titanic is rapidly disintigrating and will soon be nothing but a pile of rust at the bottom of the sea. 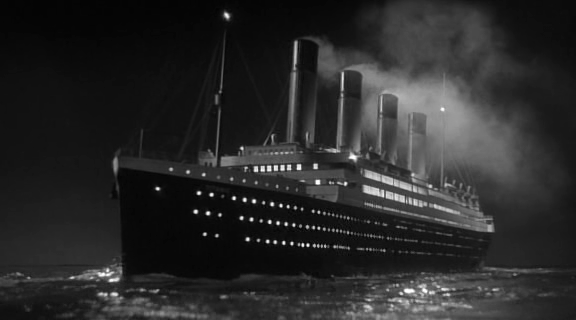 Over the past 100 years, Titanic has proven profitable source material for filmmakers. Just ask James Cameron, who basically took my entire life’s savings when I was 14. 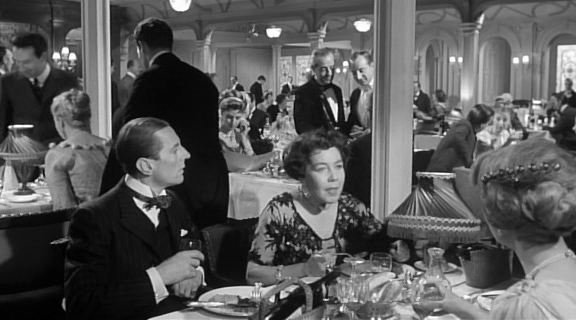 Although Cameron’s 1997 film has been the biggest moneymaker and is still fresh in everyone’s memories, especially now that it’s been re-released in cinemas in 3-D to mark Titanic’s centenary, Roy Ward Baker’s 1958 classic A Night to Remember is considered by many serious film folk to be the “best”. Drawing largely from Walter Lord’s book of the same title based on the official Titanic inquest, A Night to Remember has been praised for its historical accuracy, keeping the focus on the reality of the disaster rather than the mythology. Baker’s film recalls the documentary realism movement that defined British cinema during the war years. 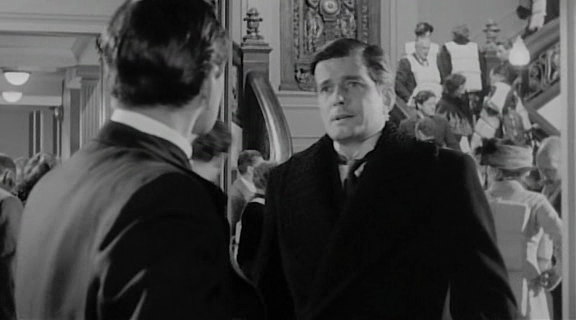 It features wonderful performances by Kenneth More, John Merivale, Anthony Bushell, Honor Blackman and Michael Goodliffe, among others. The ship itself is the main character, and we see the human error that caused her demise from all angles. But what sets it apart from Hollywood renderings of the same story is its restraint. It lacks the melodrama that permeates Cameron’s film and lets the horror of the tragedy speak for itself. No need for extra gimmickry to tug at audience’s heartstrings. There are many similarities between Baker’s and Cameron’s films, aside from the obvious part about the sinking boat. The latter not only uses a good chunk of the dialog featured in A Night to Remember, but contains many very similar shots. A minor but interesting difference worth noting is that A Night to Remember was filmed prior to Ballard’s discovery, so the ship is depicted sinking in-tact. Now we know it split in half while going down, as shown in Cameron’s film. In the end, however, comparing A Night to Remember and Cameron’s Titanic is as pointless as comparing Ken Burns’ The Civil War and Gone with the Wind. One presents historical facts as they were. The other is a fictional story set against a real historical backdrop. Which film floats your boat (pardon the pun) will depend on your keenness for realism vs romance. But A Night To Remember is an exceptional film, and a worthy one to watch to commemorate the 100th anniversary of Titanic’s tragic voyage. 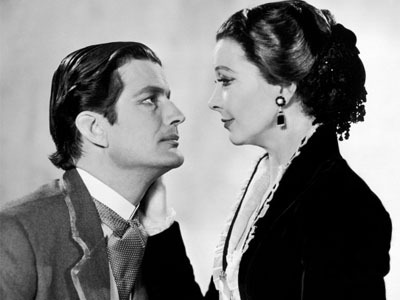 I don’t talk about Jack Merivale on vivandlarry.com very much at all, mostly because he came after Laurence Olivier in Vivien’s life and since the site focuses on Vivien and Larry, Jack has always been sort of peripheral. But in this instance I think he deserves some space of his own. Today I had the opportunity to look through the Vivien Leigh/Jack Merivale papers at the BFI Library in central London. These papers, among those of many other British film luminaries, are held in special collections and are only viewable by appointment after having purchased a BFI membership and library card. As a researcher of Vivien Leigh or anyone else in the film world, really, the BFI and other similar archives are essential to getting an in-depth, inside look at someone’s life and career. The project I have been working on for ages (I think I’ve mentioned it here before in passing) has required extensive archival research, particularly of photographs. The Leigh/Merivale collection only had a handful of photos related to Vivien, but the rest of the material was equally as fascinating. The papers were donated to the BFI by Merivale’s wife Dinah Sheridan, whom he married after Vivien passed away, and they contain letters from Vivien to Jack (in her always difficult to decipher handwriting)–letters from the Civil War centenary/GWTW re-premier in Atlanta talking about drinking mint juleps and eating at “Aunt Fanny’s Cabin”, from New York, from India, from everywhere. 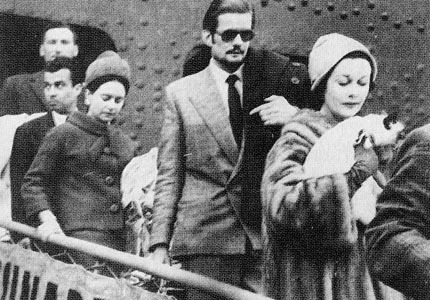 It seems she and Jack traveled solo about as much as she and Larry had previously–hundreds of condolence letters from Vivien’s friends and fans after her passing, letters from Larry Olivier to Jack on the eve of his and Vivien’s divorce, a psychiatric report from a couple different psychiatrists, and a few photographs of Vivien in the late 1950s. 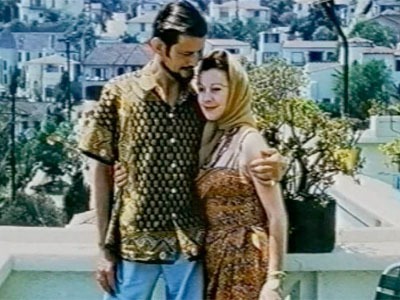 Knowing to some extent what Vivien went through in her struggle with bipolar disorder, I’m really glad she had Jack to just…be there when she obviously needed someone to keep an eye on her. I think he was a gentle and kind soul, a genuinely good guy, and just what she needed at the end of her life after all she’d been through with her divorce from Larry and life in general. I know Larry was grateful for Jack’s presence in Vivien’s later life. Sometimes it’s hard to believe that Vivien Leigh lived such a full life in such a short time, but the letters from her famous friends and fans after she passed away are a true testament to just how much she gave to the world. Jack got letters from Lauren Bacall, Celia Johnson (who I didn’t know was even friends with Vivien), Cole Leslie, Binkie Beaumont, Rachel Kempson, Diana Cooper, Deborah Kerr, Ursula Jeans and Roger Livesey, John Mills, David Niven, and Victor Stiebel, among others. In these letters, many of her friends mentioned how they knew she loved him very much and how he made her happy in the last few years of her life and enabled her to carry on as long as she did. And he responded to every single letter that was sent to him. Jack Merivale, I salute you. The archive is nowhere near as extensive as the Olivier archive in the British Library, but for what it’s worth, I thought it was informative and obviously lovingly cared for. 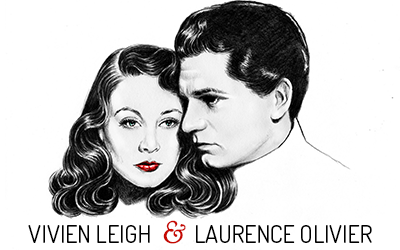 If you’re ever doing a project on Vivien Leigh’s later life, this is a good place to start.